Nine colors to choose plus three generous sizes: Blue, Green, Red, White, Black, Lime/yellow, Orange. From Carol Acton of Lakewood, Colorado on 4/17/2018 . 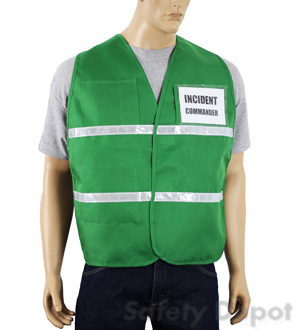 I ordered two different sizes of this product for our CERT program and they are wonderful. Everyone was very impressed. I will be ordering from you again when we need more things for our program. From wally owens of San Jose, California on 6/8/2015 .